Register with our website to be automatically notified fo when the next SCC details are announced in Fall 2019! Details on the last event can be found below. Basketball Manitoba, the University of Manitoba and the University of Winnipeg are excited to announce the details the tenth annual 'Super Coaches Clinic' weekend scheduled for October 19-20, 2018 at the University of Manitoba Investors Group Athletic Centre. 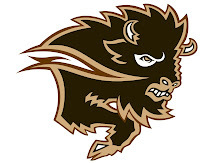 The clinic comes as a partnership with the University of Manitoba Bisons and the University of Winnipeg Wesmen as a joint offering to the basketball community. 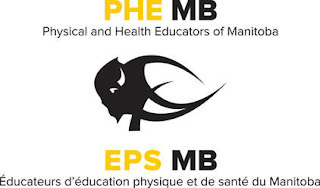 The clinic will run at the same time as the province-wide 'SAGE' in-service day on Friday, October 19 and is registered as a professional development event by PHE Manitoba. The WMBA and Peg City will be pausing all league games over the clinic weekend to ensure each coach can attend and is covering the cost for all its league coaches to attend the sessions. The clinic features 12 hours of presentations over the two days and features a wide range of topics for all levels of basketball. Register today for Manitoba's premier basketball coaching event! Attend one day at the early bird rate of $100 or come to both for $125! Early bird pricing is until September 30 of which the fee will increase to $110 and $135 per person respectively. Deadline to register is Wednesday, October 17, 2018, at 4:30 pm Thursday October 18 at 12:00 pm. 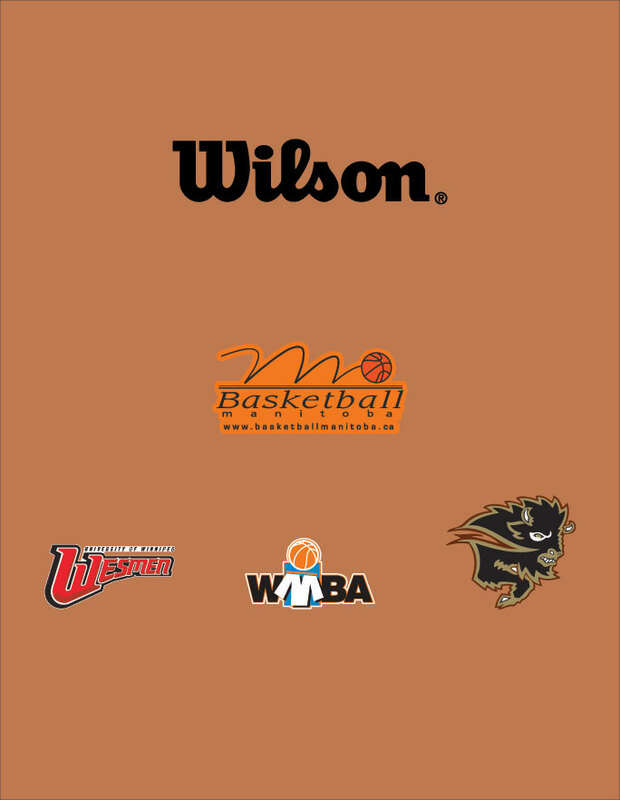 Basketball Manitoba, the University of Manitoba and the University of Winnipeg gratefully acknowledge the support of the following organizations who helped make this weekend possible! 12 hours of on-court top-notch basketball presentations over 2 days with topics ranging from basic fundamentals to advanced offenses & defenses (see below for schedule). Option to attend one or both days. Your best value is to join us both days! Optional Pre-Workshop Session hosted by coaches Michele Sung and Sarah Lundgren on the evening of Thursday October 18 at the Canada Games Centre. Exclusive access to view a number of practices hosted by the Wesmen & Bison coaches in the days prior to the clinic (see below for schedule). FRIDAY COACHES - Entry for a Grand Prize Draw for a trip for a coach in attendance to Las Vegas in spring 2019 for the Nike Championship Coaches Clinic (see below). 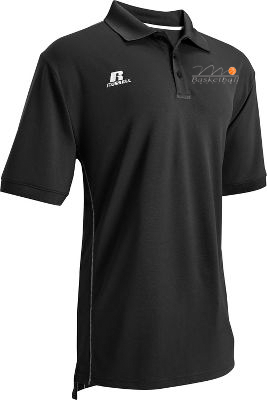 SATURDAY COACHES - Entry for a Grand Prize Draw for Team Prize Pack (see below). Other great door prizes throughout the day from the Wesmen, Bisons, Basketball Manitoba, WMBA, Coaching Manitoba, Sport Manitoba and other supporters. Lunch included both days supported by our sponsors. Basketball Store selling FIBA rulebooks, scoresheets, whistles, dry-erase boards, select clothing. A special 20% discount will be available to all coaches who show a copy of their MPI registration document proving they own a basketball specialty licence plate! Every coach in attendance ON FRIDAY at the Basketball Manitoba Super Coaches Clinic will be entered for door prizes throughout the weekend! 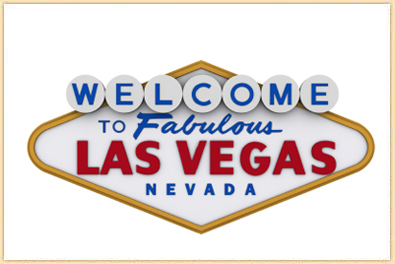 The FRIDAY grand prize will consist of a trip to Las Vegas on May 17-19, 2019 for the Nike Championship Basketball Coaches Clinic! 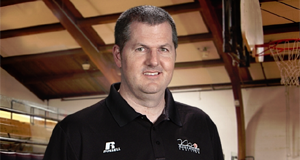 This Las Vegas clinic is considered the premier basketball coaches clinic in the world! This prize includes return air fair out of Winnipeg to and from Las Vegas, hotel accommodation and the Nike Coaches Clinic fee. The prize is valued at over $1750.00 and must be accepted as presented (no cash value or exchanges). Each coach in attendance will receive ONE entry for each day they are present at the clinic. SPECIAL LICENCE PLATE BONUS: Coaches who own a basketball specialty licence plate and bring a copy of their MPI registration showing their name and basketball licence plate number (BK0000) will receive FIVE entries for each day they attend the clinic in the Las Vegas and Team Prize pack draws (attend one day and get FIVE tickets; attend two days get TEN tickets). This offer is limited to one licence plate per person. The draw will be made at the end of the Friday sessions and the winner DOES need to be in attendance to win the award. Good luck! The prize is valued at over $1700.00 and must be accepted as presented (no cash value or exchanges). The draw will be made at the end of the Saturday sessions and the winner DOES need to be in attendance to win the award. Good luck! Note: Past Las Vegas and Team Prize Award Winners, current Basketball Manitoba Board members and staff are not eligible for either of the Grand Prize Draws. made the playoffs three of the years and came within one game vs the Thunder of winning the NBA Western Conference. Coach Hecker has coached basketball since 1971. Twenty-one years in the NBA, along with coaching at the overseas level, professional, minor league, collegiate and high school ranks. 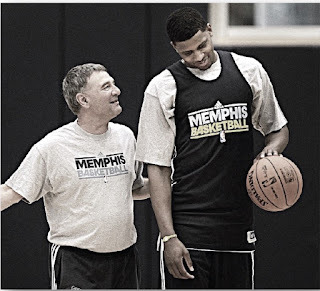 Prior to joining the Grizzlies on Jan. 27, 2009, Hecker served as an assistant coach with the Jiangsu Nangang Dragons during the 2008 China Basketball Association (CBA) playoffs, in which they won the first round of the playoffs for the first time in the history of the club. Along with his work in the CBA, Hecker spent 16 seasons (1986-98, 2001-05) with the Los Angeles Clippers. First serving with the Clippers as the team’s director of scouting (1986-94), Los Angeles made postseason appearances in back-to-back seasons (1992, 1993), the club’s first trips to the NBA playoffs since the 1975-76 season as the Buffalo Braves. 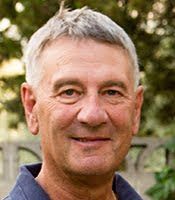 Hecker then moved to the Clippers bench for four seasons (1994-98) as an assistant under head coach Bill Fitch, helping Los Angeles back to the playoffs in 1997, and would later spend four years (2001-05) as the club’s director of player personnel working with Hall of Famer Elgin Baylor. Before joining the Clippers, Hecker spent two seasons (1984-86) as the player personnel director for the Cleveland Cavaliers, helping assemble a core of players including Mark Price, Brad Daugherty, Ron Harper and Johnny “Hot Rod” Williams, that would turn the Cavaliers into a perennial Eastern Conference power in the late-1980s and early-1990s. 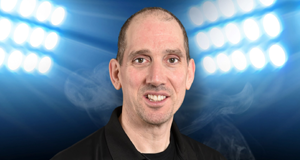 A popular and frequent speaker on the basketball clinic circuit, Hecker has been the director of numerous camps, including those of NBA Hall of Famer Adrian Dantley, Tyrone “Muggsy” Bogues, Xavier McDaniel, Andrei Kirilenko, Wes Mathews and Robert Horry. Director of the Adidas Superstar Camp, working with Kyle Lowry, Raymond Felton, Paul Milsap, Aaron Brooks, to name a few. Internationally, Hecker has been invited as a guest speaker at clinics in China, Italy, Turkey, Puerto Rico and the Netherlands. 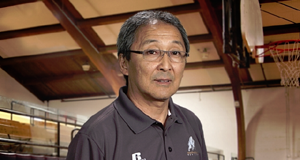 He has also written several basketball articles for Coach and AD and produced a CD for Championship Productions entitled Creating the Perfect Jump Shot. 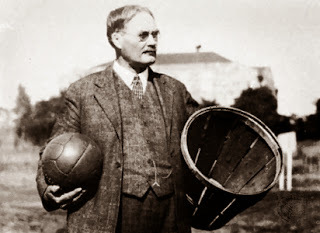 He also invented a shooting aid “GET IT UP SHOOTING HOOP." The Washington, D.C. native received his bachelor’s degree from Frostburg State where he played basketball and baseball. He earned his master’s degree in education from George Washington University and was a Ph.D. candidate at Florida State. Hecker’s head coaching credits also include B.S. Leiden of the Dutch Professional League (1975) and Westminster College in Salt Lake City, Utah (1976-78) setting a Rocky Mountain Record with the team shooting 55% for field goals for a season. Coached the Clipper summer league team to two titles. 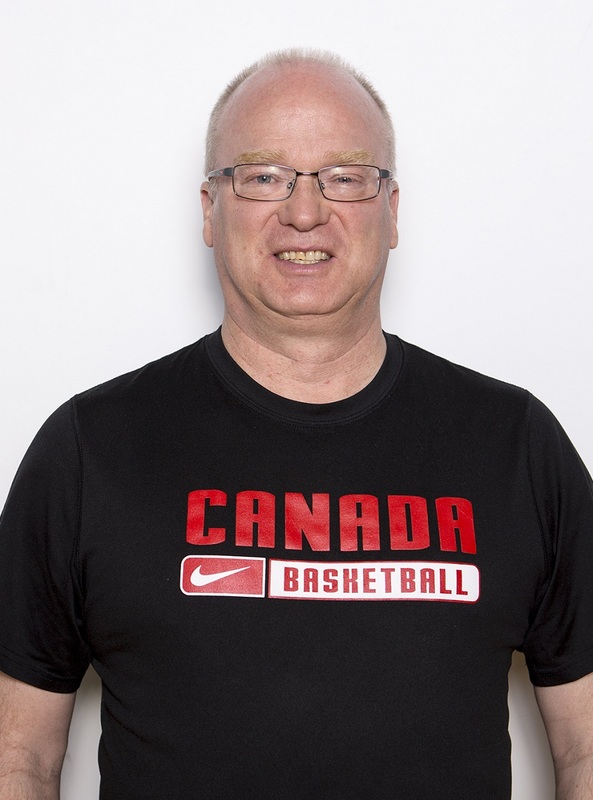 Mike MacKay is Canada Basketball's Performance Manager for the women’s high performance program (WHPP). MacKay, a long-time basketball coach, mentor and educator. He is responsible for the continued development of the women’s program’s high performance athlete profile and the identification of standards against which Canada’s female athletes at the senior, development and youth levels can be measured. Through his deep knowledge base and familiarity with Canada’s player pool, MacKay provides technical leadership to the women’s Targeted Athlete Strategy (TAS) program. The native of Truro, N.S. also assists and guides the continued development of Canada Basketball’s development and age-group women’s national team coaches. 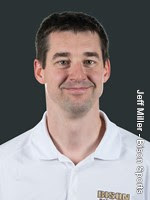 Mike has previously served as Canada Basketball’s Manager of Coaching Education and Development. MacKay recently returned from the FIBA Women's World Cup in Spain with the Canadian Senior Women's National Team. Bison men's basketball head coach Kirby Schepp has coached more than 50 different teams over the past 23 years and 13 at the U SPORTS level. He has just completed his ninth season at the helm of the Manitoba Bisons and has steadily brought the Herd back into national contention. 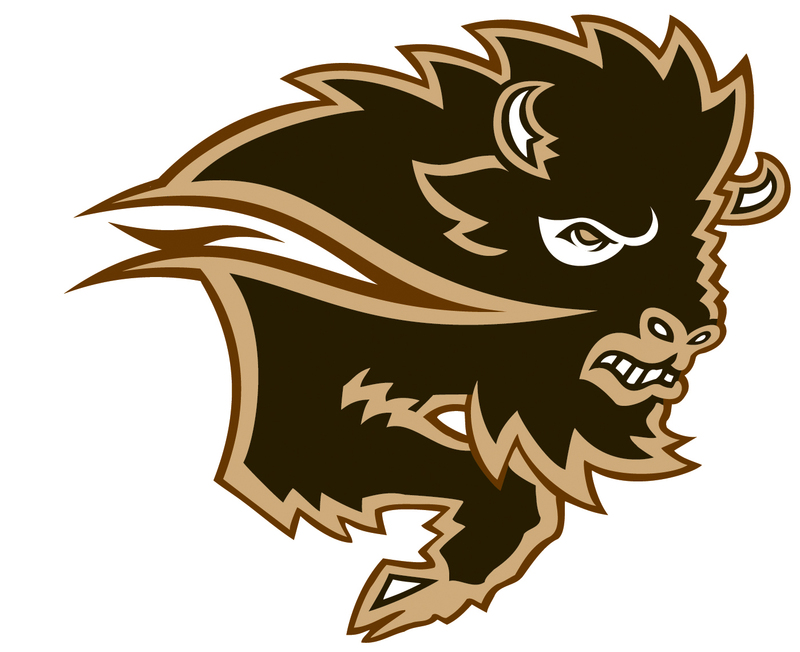 The Bisons have made the post-season in six of the last nine seasons and four years in a row. He has led Manitoba to back-to-back Canada West Final Four appearances and a trip to Halifax in 2017 to compete for the national championships for the first time in the program's history since 1986 (counting regional championship). In 2009, Schepp was named to the staff of the inaugural Canadian Cadet (17U) National team. He has served on the National Cadet and Junior (19U) staffs for the previous eight summers and has numerous medals at FIBA events including a bronze medal at the 2010 FIBA World Cadet Championships in Hamburg, Germany. 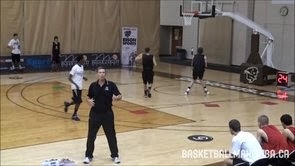 Schepp has coached several future NBA players while with Canada Basketball including Andrew Wiggins, Anthony Bennett and Nik Stauskas. This past summer, Shepp led Canada to the Silver Medal at the 2018 Commonwealth Games in Australia and a 4th place finish at the World Junior Championships in Argentina. 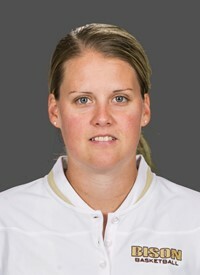 A graduate of the University of Winnipeg and former U SPORTS player, Schepp coached successful high school and club teams as well serving as an assistant at the University of Winnipeg for 17 years. He led his high school teams to numerous Final Four appearances over 14 years (seven in a nine-year period). He also coached many provincial teams and elite club level programs to successful finishes nationally. Coach Schepp earned his B.A and B.Ed from the University of Winnipeg and a Master's Degree (Coaching) from the University of Victoria. 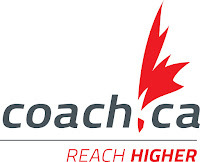 Schepp is an NCCP Master Learning facilitator and has trained hundreds of coaches over the past 20 years. A distinguished coach with over 400 CIS career victories, McKay has been the head coach of the University of Winnipeg Women's Basketball program for 20 years. McKay has coached her teams to a pair of silver (2002, 2004) and two bronze (2001, 2003) medals at the CIS Women's Basketball Championships. An outstanding player for the Wesmen (1986-1991), she was named an All-Canadian three times. McKay finished her career as the fourth all-time Women's Basketball scorer. She was inducted into the Manitoba Basketball Hall of Fame in 2003. 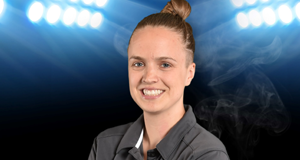 This past summer she worked with the Manitoba Provincial Team 17U Female team as a mentor to the coaching staff. Jeff certified as an Athletic Therapist in 1999 and prior to that, graduated from the University of Manitoba with a Bachelor's degree in Physical Education in 1996. Jeff also completed a Master's degree from the University of Manitoba in 2016, with the focus of his thesis being the reliability of concussion assessments in children. Jeff came to the University of Winnipeg in 2008 after spending nine years at the University of Manitoba. 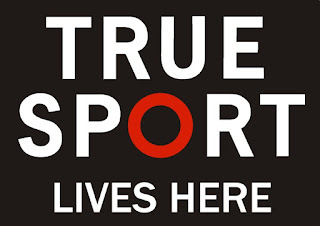 Athletic Therapy has given Jeff the opportunity to be involved in a number of high-level sporting environments from Team Canada Volleyball, the Canadian Olympic Wrestling Trials, the Pan-Am Games, the Canada Summer Games and inter-university sport; as well as giving him the opportunity to work clinically helping all individuals return to their active lifestyles. Jeff's current responsibilities include being the Head Athletic Therapist for the Wesmen Athletics program, the Director of the Athletic Therapy Centre, the Interim Chair of the Substance Use in Sport and Health Committee; which operates as a subcommittee of the Sport Medicine and Science Council of Manitoba, as well an Instructor within the Faculty of Kinesiology and Applied Health here at the University of Winnipeg. Mike is a graduate of the University of Manitoba Bachelor of Kinesiology degree program, as well as a Certified Strength and Conditioning Specialist (CSCS) and a Certified Functional Strength Coach (CFSC). Mike has had the opportunity to learn from some of the best coaches in the field of strength and conditioning and is continually furthering his education in order to provide the best training programs for the athletes of Strive. 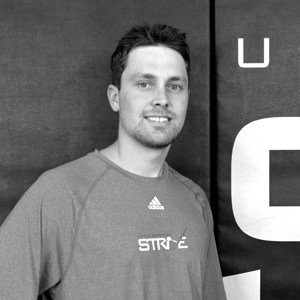 As the Head Strength and Conditioning Coach, Mike is responsible for designing and implementing all of our Athlete training programs at Strive. Mike also helps develop our coaching staff and manages our Internship Coaching Program. Mike has his roots in basketball as a player and has worked as an assistant coach with the Manitoba Provincial Teams. As a bonus to signing up with the Basketball Manitoba Super Coaches Clinic, you will be given access to over 200 online youth basketball videos and 48 youth basketball practice plans for your coaching needs. This online material will be available to you for the next year to be used as another resource of information. You will receive instructions on how to access the material once you register for the Super Coaches Clinic so sign up now! There is no additional fee to attend this session and you can indicate your attendance during the Super Coaches Clinic registration process. The workshop will be limited to the first 50 people who sign up, so register now! Parking: Free on area streets after 5:30 pm. Paid parking available under new Canada Games Centre for $2 the first hour and $1 for every 30 min after (use Alexander Street entrance). What to Bring: Court friendly shoes, notepad, pen. If you would like to attend this session but are not attending the Super Coaches Clinic, you can still attend at no cost by RSVP'ing to Michele Sung (Hynes) at michele.sung@umanitoba.ca. By attending a Basketball Manitoba Super Coaches Clinic, you will gain full access to the entire clinic video online library! A price of $123 + taxes a night has been set up for people attending the Super Clinic. When calling the hotel, quote "Super Coaches Clinic Block" to secure this rate. This rate will be held until October 5, 2018. 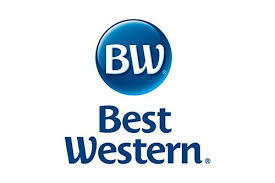 If booking after this date, you can still contact the hotel but the rate may be different. When entering the Investors Group Athletic Centre, follow the signs up the main staircase to the 3rd floor. All clinic sessions will occur in the main gym. It is suggested you arrive on campus PRIOR to 8:15 AM to increase your chances of finding a spot. Parking costs are not included in the clinic fees. It is strongly suggested you carpool with other coaches attending the clinic to increase the chances of finding a spot or take another mode of transportation such as Winnipeg Transit or get dropped off at the gym. 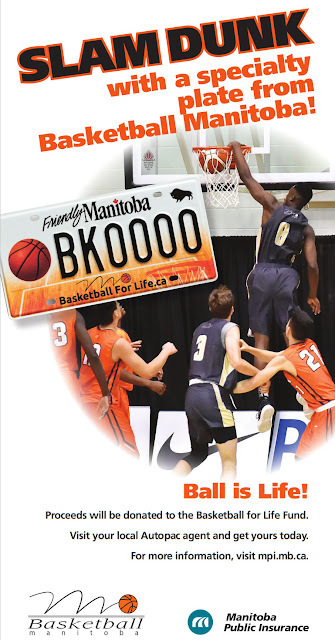 Basketball Manitoba or Bison Sports will assume no responsibility for any parking issues or violations incurred while at the clinic. The Basketball Manitoba Super Coaches Clinic was formed under the partnership of the Winnipeg Minor Basketball Association, the University of Winnipeg and the University of Manitoba with Basketball Manitoba. The first clinic was offered in 2009 at the University of Winnipeg and has alternated between the there and the University of Manitoba ever since. The clinic averages nearly 350 coaches in attendance each year and is the largest coaches clinic in Manitoba and the largest basketball coaches clinic in Canada! Awesome weekend guys......really well organized.....top notch !!!! Basketball Manitoba is doing a tremendous job with the Super Clinic, and I can't say enough good things about it. Awesome work! I will be passing on to my kids. It was great. I think that the clinic was very informative, and easy to follow. It seemed to be well organized. Overall it was a very good experience. tools and knowledge to be a better coach. Last years clinic was very good and this years was excellent. easy to understand format. Great stuff! The whole clinic was run well. The presenters were well worth listening to. Great ideas come from this. You put on a great clinics thanks! I'm a first year coach and I left with lots of aspects to basketball. Thanks SO much for the fantastic weekend of Super Coaches Clinic! again for your hard work and dedication. to those you helped you. best run, and informative clinic I have been to. Well done! Great clinic this past weekend! I really got a lot out of the presentations. first-class event. Hope it lived up to everything you hoped for. Our men's coach was tremendously impressed with the clinic you ran this past weekend. Good job. I was at the super coaching seminar this past Saturday. Thanks so much, the seminar was awesome. I really enjoyed the clinic - very interesting and very well organized. various UW/UM clinics into one, makes a whole lot of sense! the kids at the next practice! It was a great clinic. Thanks for your organization and hard work. Awesome clinic! I learned a ton. Thanks for putting the time in. The clinic was excellent, lots of very inspirational speakers with lots of good ideas. Thanks! myself of some of the details. Fantastic job! Can't wait for the video so I can make sense of my notes. for future teams as well. season, however I will try. Overall it was an excellent seminar with lots of information. Overall...Excellent Observing practices and talking to the local University coaches was valuable to me. Keep this! Thanks very much I came out of the weekend with a lot! Thanks, overall it was a great experience! coach it was actually quite inspiring. Well done! The clinic was well-organized and well worth attending. Good job! Very good clinic. Attended only Fri. Cannot comment re Sat. 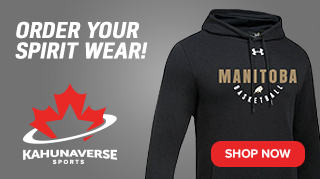 Thanks Basketball Manitoba! Very informative 2 days....good lunches, good prizes and interesting presenters! Looking forward to next year’s clinic! Very informative. Answered many questions. Now I know of ways to make practices more creative. Very well organized, good selection of coaches and topics. 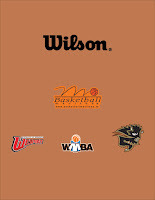 We thank WMBA and Basketball Manitoba for giving us (community coaches) the tools to coach to our kids. Deadline to Register: Wednesday, October 17, 2018, at 4:30 pm Thursday October 18 at 12:00 pm. Registration Fee: Attend one day at an early bird rate of $100.00 or both days for only $125.00. 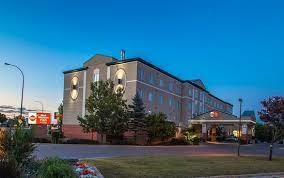 Early bird rates in effect to September 30 of which the regular fee of $110 and $135 will be in place following.